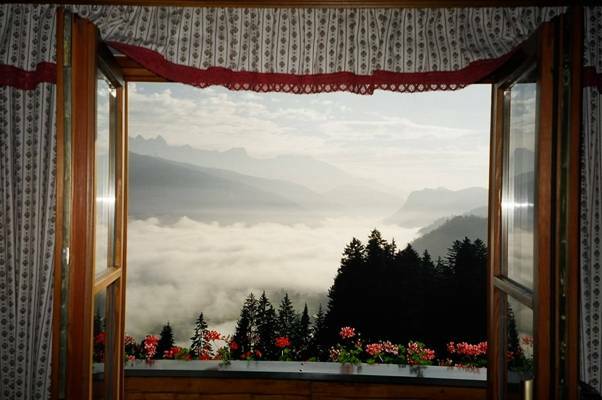 Austria is full of family attractions, and children of any age will enjoy it. It may not have famous amusement parks such as Disneyland of Efteling, but it has a variety of other attractions and beautiful scenery. The best areas for families to visit on a trip to Austria are, in my opinion, Tirol and Salzburg; but of course, there are things for children to do and see in Vienna as well: The famous ferris wheel in Wurstelprater, the Spanish Horse Riding School and a tour of Schoenbrunn Palace, which has its own charming gardens and a zoo. 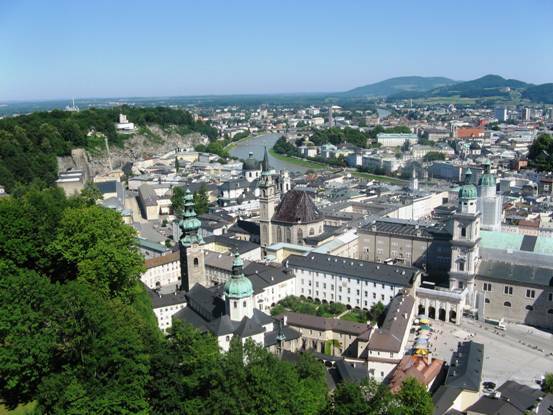 The big, important city in this state is, of course, the city of Salzburg. 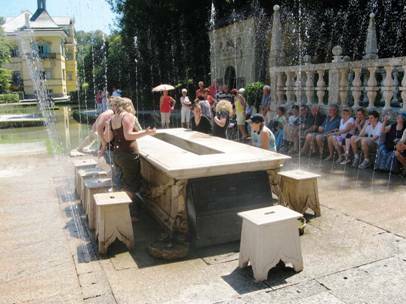 The main attraction for children in this beautiful city is Hellbrunn Palace, with its famous water tricks. I also recommend visiting Salzburg’s open museum to learn how people there used to live, what their houses and tools looked like, etc. A short drive south of the city you will find the Durenburg and Hallein salt mines. Any child (or adult!) 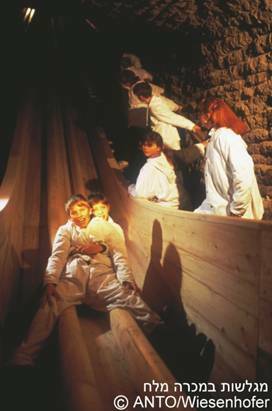 will enjoy sliding down the miner’s slides, sail the salty waters, ride a small train through the mines, and even cross the border underground. Austria has other mines which have been turned into tourist attractions. Some mines worth visiting are the silver mines, the copper mines, and the mines of Terra Mystica. A particularly beautiful and unique place to visit is the Eisriesenwelt ice cave, also south of Salzburg. It is one of the largest ice caves in the world which are open to visitors. You will get to see incredible ice sculptures sculpted by Mother Nature as you walk through this cold, dark cave to the dim light of lanterns. You can reach the cave by cable car or walking. The view from the mouth of the cave is beautiful. This trip is not suitable for young children or people who have trouble walking, as it requires a lot of walking and climbing up stairs. I recommend visiting (and also staying at) a charming city called Zell Am See. This is a lakeside holiday town with many options for entertainment, such as boating, swimming in the lake, mini golf, and more. In the winter, boating and swimming are replaced by skiing and ice-skating. 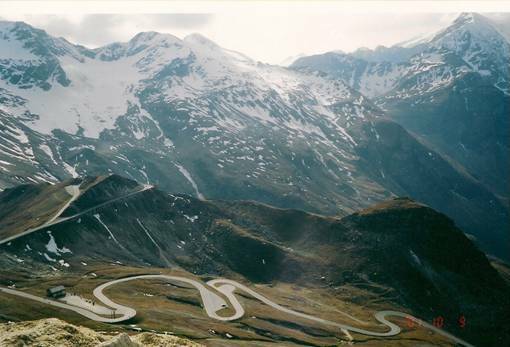 Zell Am See is close to Grossglockner, the most impressive mountain pass in Austria, where you can look at the beautiful view and play around in the snow. 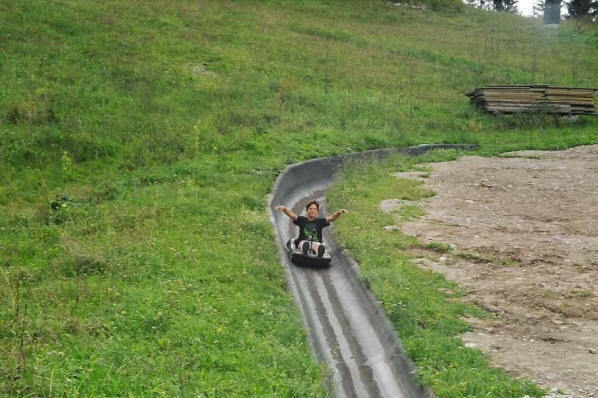 On the way to or from the mountain pass, I recommend stopping at a lovely little amusement park called Wild & Freizeitpark Ferleiten near the town of Fusch. The amusement park is also next to a wild animal park. The capital of this state is Innsbruck, a beautiful city surrounded by the Alps from every direction. I recommend viewing the city from the viewing platform of the Hungerburg cable car and touring the city centre: The pedestrian mall, the golden rooftop and the city tower. About half an hour east of Innsbruck you will find Swarovski Crystal Worlds, an amazing place with films, displays and effects relating to crystals, glass, and mirrors. There is of course a huge Swarovski shop there as well. Not to be missed! There are dozens of cable car rides up to mountaintops all around Tirol. I especially recommend visiting Zugspitze peak on the border between Austria and Germany. An excellent trip out to nature in Tirol would be to Krimml Waterfalls.